A business card is a personal memento that you leave behind after every tiring meeting or sales pitch. Once you’re long gone from the board room, and the presentation you rocked has almost faded away from memory, all that remains is that palm sized, rectangular embossment with your name and title flashing on it. It reminds its bearer, that you were there! First impressions are the best impressions, sure, but it’s the lasting ones that make all the difference. 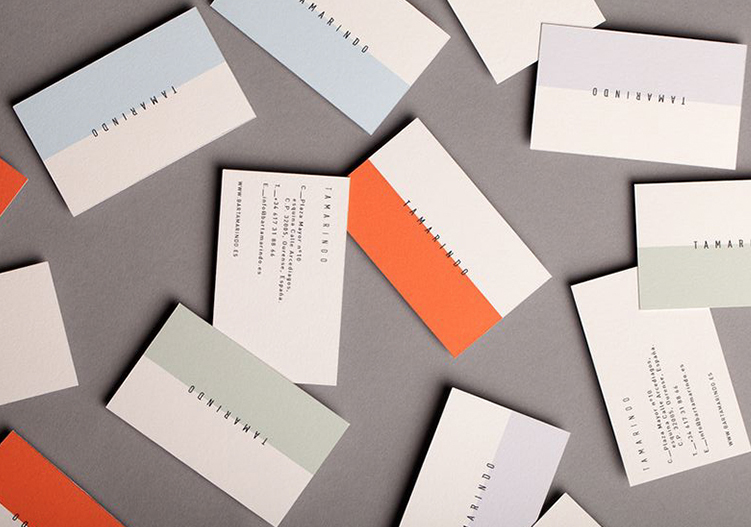 Even today, a physical business card carries more respect and weight than a digital card. It’s simply because it’s personal, like a hand shake. You could be a fruit vendor or the CEO of Facebook, you need a business card to represent you when you’re not around. A dull business card has no place in a world ruled by beauty, but neither does an overly flashy one. You definitely want to invest money and time on the design aspect of your business card, because changing it later might not be an option. The design incudes the shape of the card, the size, the pattern and print on it, and the colour combination. Business cards today come in all shapes and sizes. You should pick a shape that best portrays your work, like in the shape of a guitar if you’re a record label. If you’re confused, just stick with the classic rectangle, which, as printers we can safely say, is still a favourite. The quality of the card and the ink used is equally important. Do not cut corners to save money. A card with jagged edges made from cheap quality material speaks volumes about how you conduct business. It’s like wearing a crumpled, coffee stained shirt to a business meeting! You certainly do not want to portray such a negative impression. Head over to our website or our offices to check and hand pick a material that best expresses your business standards. Rest assured, even our cheapest material is better than most printers’ best material. You should pick a printing company you can rely on not just for the first order, but at all times. When it comes to reliability you’re looking at two factors: Speed, and efficiency. Fast turnaround without compromising on quality, that’s the sign of a trustworthy printer. You have an important client meeting in a few hours but have run out of business cards? Print That Now needs only one hour to get the job done! You heard us right, only one hour. That’s how quick we can be and guess what, we do not charge extra for express orders. You might find yourself meeting with many printers before you make the ultimate decision (if you meet with us first, you’ll have your work cut out, that’s a promise), and each will offer you a host of services and prices. Before you pick the cheapest option give this a thought: Why does a Rolex cost over $2000 when a watch at the local store that shows the same time can be bought for only $50? The reason is masterful design, precision craftsmanship, and incomparable quality. The best always costs more. Of course, you don’t want to spend a big chunk of your finances on printing, but that does not mean simply go with the cheapest option. The cheapest option is often equally cheap in quality and service. So how do you decide? Ask the printer for samples, take a look at previous work, get a feel for the material and ink being used. Use your greatest tool: your hands, to judge the quality of the business cards. At Print That Now, we share an ocean of samples and material choices so that you can make the best possible decision, and still stay within the budget you have set. These are the four important aspects to look for when printing a business card: Great Design, Great Quality, Quick Delivery, and all at an Affordable Price. Luckily for you, Print That Now encompasses each of these traits in everyday work. Drop in a message to know more.